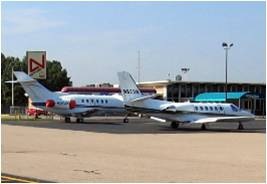 Southwest Michigan Regional Airport is proud to be the centrally located airport of Michigan's Great Southwest. Providing easy access to the business centers and direct access to the areas tourist attractions, the airport extends an invitation to be treated with our red carpet service when you arrive or depart. You are our number one customer whether you fly in your business aircraft, charter aircraft or general aviation aircraft. When you arrive at SWMRA, you are conveniently located near many top rated golf courses, The Southwest Michigan Wine Trail, area marinas, beaches, and other adventures that Michigan's Great Southwest offers. We Can Show You a Great Time, We Have Done It Before! 32nd Annual Convention of the International Cessna 120-140 Association at The Southwest Michigan Regional Airport. September 26-30, 2007. 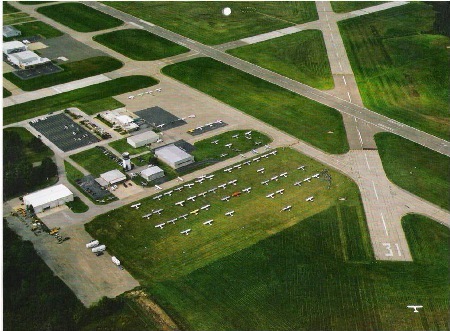 Southwest Michigan Regional Airport (KBEH) offers free, safe, and convenient parking located at the airport terminal for your departure and return convenience. There are rental car services available to you at the airport. Avis Rent A Car and Enterprise offers drop-off and pick-up service. For your car rental convenience, Avis requires advance reservations. 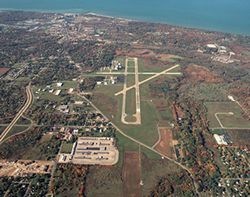 To view the detailed Facility Sketch of Southwest Michigan Regional Airport, please visit the Michigan Department of Transportation - Bureau of Aeronautics Web Site, click here. Once you get to the link, Select "B", then scroll down until you reach the page for "Benton Harbor". Senior PGA Championship presented by KitchenAid will take place 2016 & 2018 at The Golf Club at Harbor Shores in Benton Harbor, Michigan. The airport is already prepared to meet your arrival and provide you with “Red Carpet Service” and handle your requests. SWMRA welcomes the Senior PGA Championship to Michigan's Great Southwest! We are here to serve YOU!